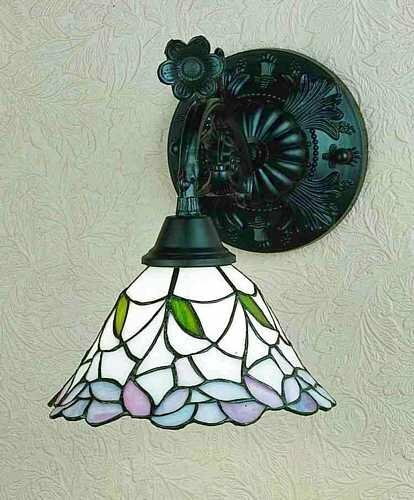 Elegant Bell Shaped Linen White Shades Bordered With Delicate Plum Pink Flowers Are Accented With Tiny Leaves Of Jade Green. 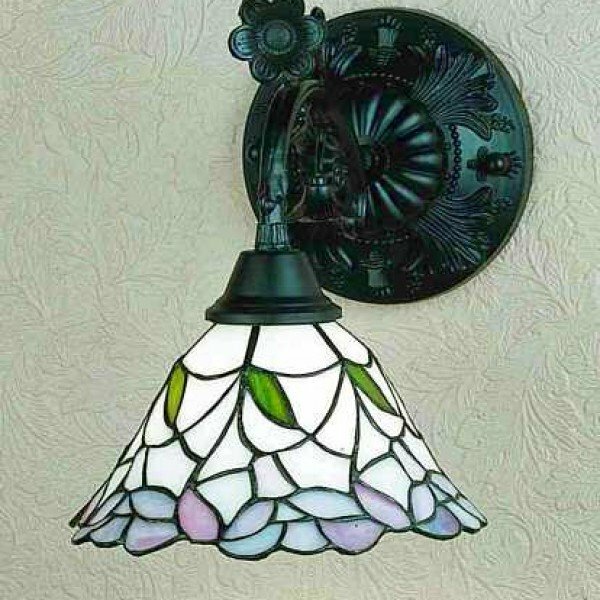 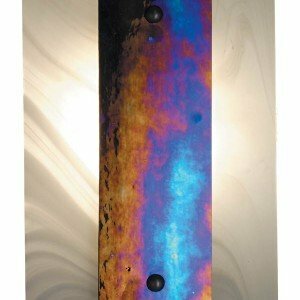 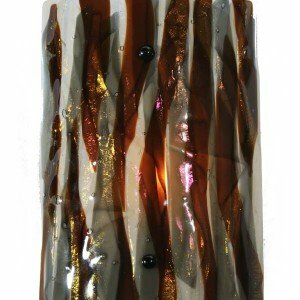 Each Piece Of Stained Glass In This Tiffany Style Shade Is Hand Cut And Wrapped In Copper Foil. 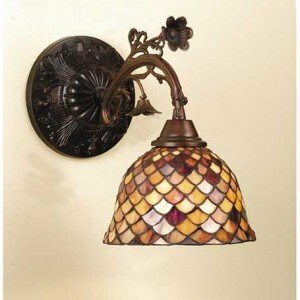 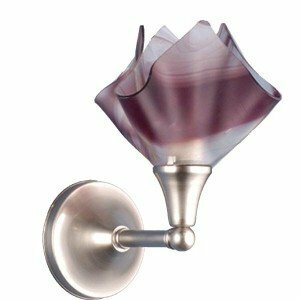 The Beautiful Shade Graces The Arm Of A One Light Wall Sconce, Hand Finished In Mahogany Bronze.